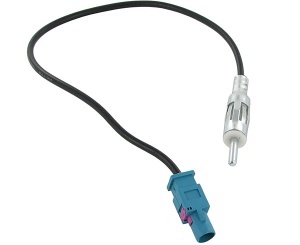 Aerial adapters for Peugeot. 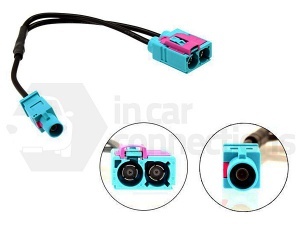 Convert Peugeot specific aerials to allow connection of a new after-market radio, FM modulator etc. 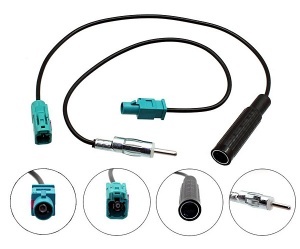 to your Peugeot. 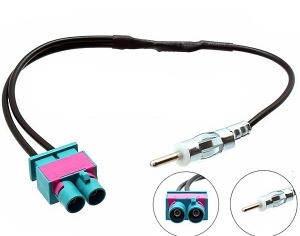 View our range of Peugeot car aerial adapters below. 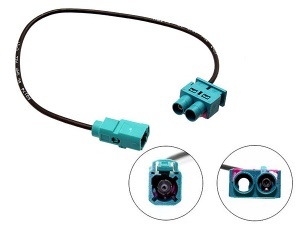 This Double Fakra male to Single Fakra female aerial adapter converts a twin fakra connector to single fakra. 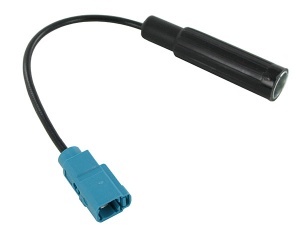 Fakra aerial adapters to convert Fakra aerial connections to DIN to allow the installation of a wired FM modulator. 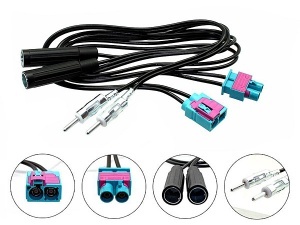 This Double Fakra Male to Single DIN aerial adapter converts a twin fakra connector to single DIN.